Since its founding in 1956, Fiorentino, Howard & Petrone, P.C.has been a general law firm committed to meeting the legal needs of individuals, families, businesses and organizations in Central and Eastern Connecticut. The firm has previously been known as Phelon, FitzGerald & Wood, P.C.. We work hard to build lasting relationships with our clients and deliver superior responsiveness on your important legal matters. Our experienced attorneys, along with our friendly and efficient staff, are ready to welcome and help you.We safeguard your every legal transaction, whether it is protecting your interests if you are injured, the management of your estate, or the purchase sale of your home. From the initial consultation to final resolution, we take pride in giving you hands-on, highly focused, personalized attention and solution-driven, cost-effective representation. 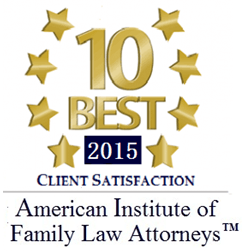 Our goal is to bring you the best possible results for your important legal matters. For experienced and skillful legal representation, call Fiorentino, Howard & Petrone, P.C. at 860-643-1136 orcontact the firm online to schedule an appointment. We are open Monday thru Friday 8:30 a.m. to 5 p.m. Appointments and other hours are available upon request. We accept all major credit cards. I want to thank you very much for the exceptional legal representation you provided for me. Not only was your knowledge of the law impressive but your consideration for me as a person was exceptional. Your counsel successfully brought me through a difficult family situation both legally and personally. I appreciated your honest, thoughtful, straight forward approach. You were very responsive to all of my questions and concerns with excellent advice that resulted in a positive outcome. Sincerely, Joan P.
We would like to extend our sincere gratitude for legal services provided by Jim Howard and the law firm of Fiorentino, Howard & Petrone, P.C. The complex civil case we found ourselves tangled in was very stressful and unsettling to say the least. Mr. Howards drive, commitment and dedication to our case was evident from the start which helped ease the stress involved in our dispute. Since then, we have found ourselves in need of legal services for several other issues and each time we were more than confident with the representation we received. You and your firm have created satisfied clients and I would like to endorse your services to anyone looking for representation from a true master of the profession. –Ken S.
I just wanted to drop you a line thanking you and your team for help with my recent accident. The counsel you provided me was fabulous and never worried about outcome. I knew you would pull through for me. Thanks again.-Mike C.
Just a quick note to thank you for the years of exceptional legal services that you provided for both of our individual companies. When we needed valuable legal advice, both professional and personal we knew that we could depend on your discretion in all matters. Again, thank you and your firm for your professional services. Bill and Jeanne R.
Now that our legal matters are behind us we wish to extend a sincere and heartfelt thank you to you and your firm for a job well done! When you believe you are right but get caught-up in a legal quagmire the hardest thing is finding a lawyer/firm that listens to you and then proceeds to represent you in a fair and honest manner. I have learned that when you want the best you ask other successful professionals who they would go to if they were in my position. The common denominator that I saw immediately was quite obvious. Your name appeared on all three lists that I received from my respected professional friends. Just like when looking for a great medical specialist - I ask my Dr. "who would you go to?" We could not have received better representation. Many thanks. Craig H.
We want to thank you for all of the help you have given us throughout the past few years. Doing business from California could have been very difficult, but you helped to make it easy. You always responded quickly and took care of any problems that arose. This was a tremendous help for us and we are sincerely appreciative. Dennis and Carol B.
Fiorentino, Howard & Petrone, P.C. is located in Manchester, CT and serves clients in and around Manchester, Bolton, South Windsor, East Hartford, Glastonbury, Vernon Rockville, East Glastonbury, East Windsor Hill, Ellington, Hartford, Andover, South Glastonbury, Hebron, Wethersfield, East Windsor and Tolland County.